Old Customers: Please disable index photos after updating the theme. 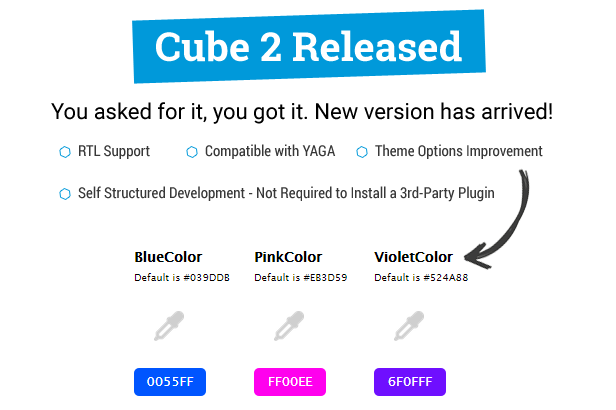 Cube is First Fully responsive and Retina ready Vanilla AJAX theme built on very powerful and flexible frameworks. This theme makes your forum look very professional even with only small number of Discussions. It’s clean design and yet flexible effects and settings let you to take the most out of your new theme and present a different and unique result for yourself or your client. I love it! Makes Vanilla clean, fun and beautiful! Fantastic overall. Keep up the good work! Documentation Quality, Very clean and easy to configure theme! Very smooth! Since December 2014, We plan to create a new high quality item. So we’ve gathered ideas and wrote it on paper. theme. After 3 months of tireless efforts We Named it ‘Cube’ because of its high Capacity and Beauty. Discussions Ajax Load â Show more discussions without the need for a postback or a complete page refresh/Pagination. Sidebar and Footer Widgets â Create your widget easily and put images, html codes, newsletters, etc. 100% Valid and Clean code â It is important to have valid code on your Web pages. Web browsers are very forgiving with bad code, This theme is clean and valid. Google Fonts API â Hundreds of free, open-source fonts optimized for the web. Thank you for purchasing one of our themes! feel free to steam#contact”>contact us. Your feedback goes a long way towards making our products even better. With a support request, you can also submit bug reports or request enhancements from developer. are just the icing on the cake. We work collaboratively with our clients every step of the way, immersing ourselves in the inner workings of the company and the critical challenges and strengths of each project. you can send it to us â Your rating appreciated. 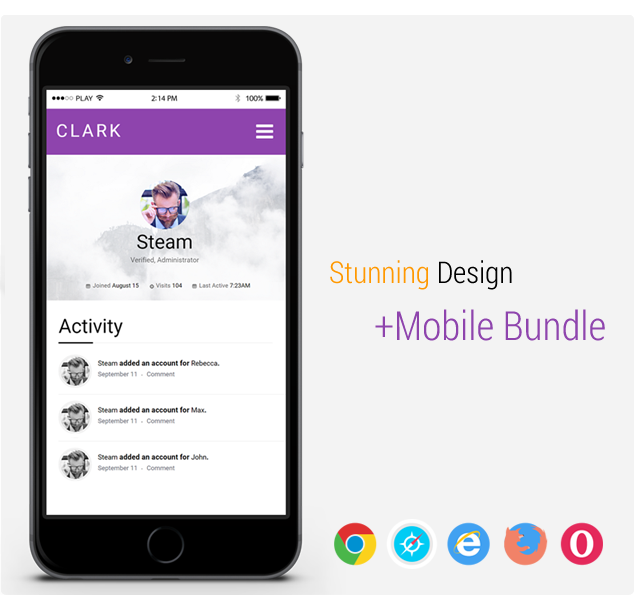 Clark is a easy to use, Minimalist and serious theme for vanilla forums 2 with user-friendly and fully responsive design. You will fall in love when you see elegant elements and layouts, Especially entry pages and Blur Login box. Based on Bootstrap grid system and compatible with some vanilla Applications and Plugins. 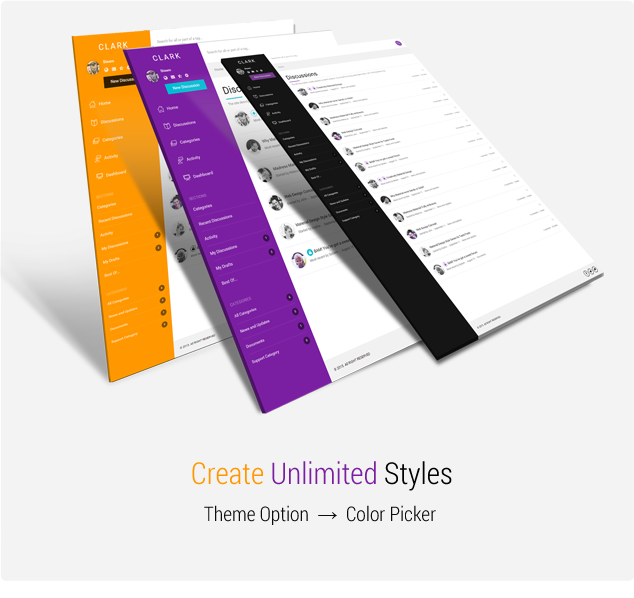 There are theme options to change the colors and Generate New Schemes quickly without special knowledge. 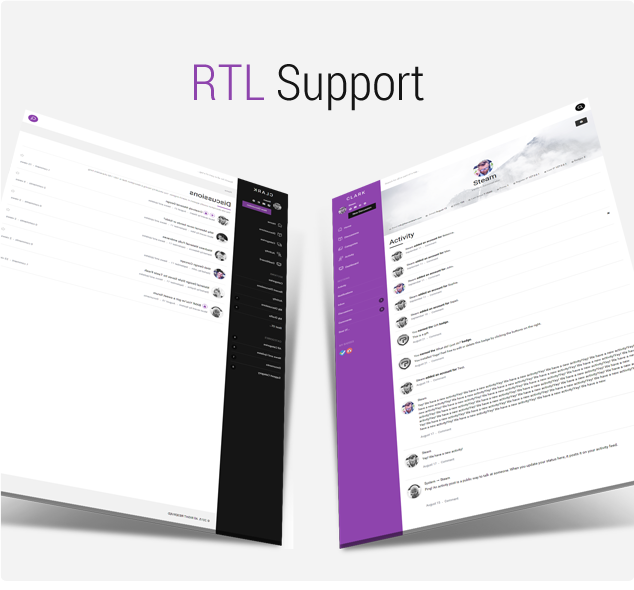 This vanilla theme supports RTL Language. I just went ahead and bought it. Applied it to my forum, and it works. Now it looks amazing. I’m really happy! Thanks a lot. Additional: Compatible With YAGA Application â Provides customizable reactions, badges, and ranks for your Vanilla forum software. Increase user activity by letting users react to content with emotions. Give users badges based on statistics and engagement in your community. Create and award custom badges for special events and recognition. Additional: Compatible With Discussion Polls Plugin â Allows creating polls that attach to a discussion. 100% Valid Code â It is important to have valid code on your Web pages. Web browsers are very forgiving with bad code, This theme is clean and valid. feel free to contact us. Your feedback goes a long way towards making our products even better. With a support request, you can also submit bug reports or request enhancements from developer. A positive word gives us strength and spirit to be steadfast in this way, Just the author can see your reviews, Please rate us 5 star Here, Very Appreciated.